​John has a Bachelor of Science from the University of Idaho's College of Forestry with a Major in Wild Land Recreation Management and a minor in Outdoor Recreation Leadership. 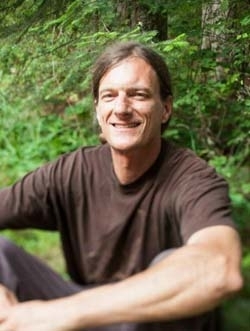 He is a board member of the Rock Creek Alliance, a local environmental organization, and is founder and Vice President of Misty Mountain Furniture in Sandpoint, Idaho as well as Founder and Principal Organizer of Sandpoint SummerFest, a local music festival, now in its 18th year. He is an avid outdoor enthusiast, musician and community supporter and has been a North Idaho resident for 27 years. ​Since receiving a B.S. in Social Sciences from Radford University Robb has found his passion working in the education and outdoor industries, often combining the two. He has been a wilderness instructor in West Virginia, a summer adventure camp director for the City of Roanoke, public high school teacher, and he taught Social Studies at Northwest Academy right here in North Idaho. Currently, Robb is a full time Ski Patroller for Schweitzer Mountain and an instructor for Longleaf Wilderness Medicine in addition to being the owner/operator of Mattox Farm Productions based in Sandpoint. Robb currently serves on the Performing Arts Committee for the Pend Oreille Arts Council. In his free time he can be found searching for fresh snow to ski, mountain biking, or hiking with his wife and two dogs. ​Brietta is a teacher of dance in its many forms of healing, prayer, play and conditioning. She grew up as a dancer and discovered her path as a healing artist 16 years ago, while traveling in Asia. The combination of Brietta’s devotion to the dance, family roots & passion has birthed her own trademarked movement form called WildCore. Her years of study as a student of Soul Motion™ began to blend with 15 years as a Nia teacher, Massage Therapist, energy enthusiast & performer, all of which contributed to WildCore’s development. Brietta loves to inspire healing through movement and offers classes, workshops & co-creative retreats and performances for both kids and adults in her hometown of Sandpoint, Idaho. Steve has been the owner of a Design/Build firm for 30 years and is passionate about architecture, building and community development. He has owned the Eureka Center for over 20 years and has transformed bare land into what it is today. Steve is also an environmental activist and was instrumental in the creation of the Lake Pend Oreille Waterkeeper, a non-profit organization dedicated to protecting water quality, and is currently President of the Board. As an outdoor enthusiasts he enjoys running, skiing, and fly-fishing!